When you get your wedding invitation and see the dress code details, do you get confused every time? 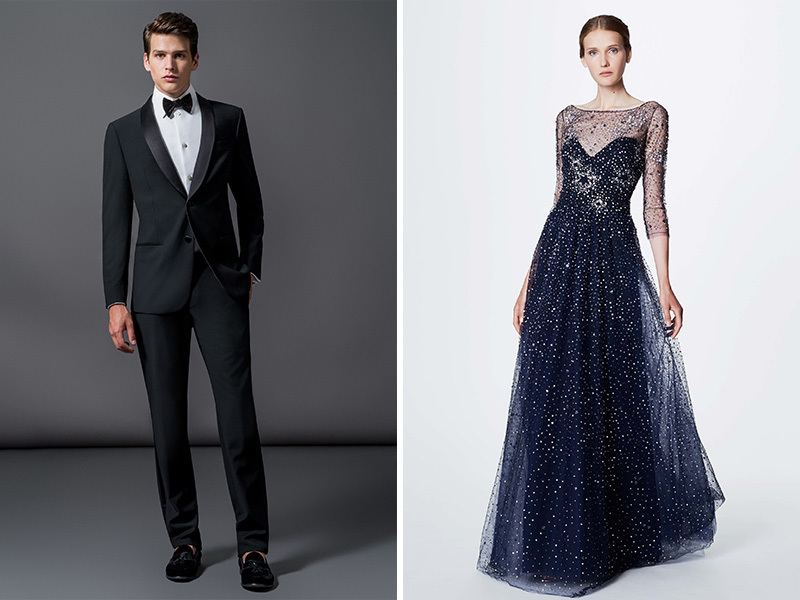 What’s the difference between a black tie and formal dress code? Does semi-formal mean you can lose the jacket? 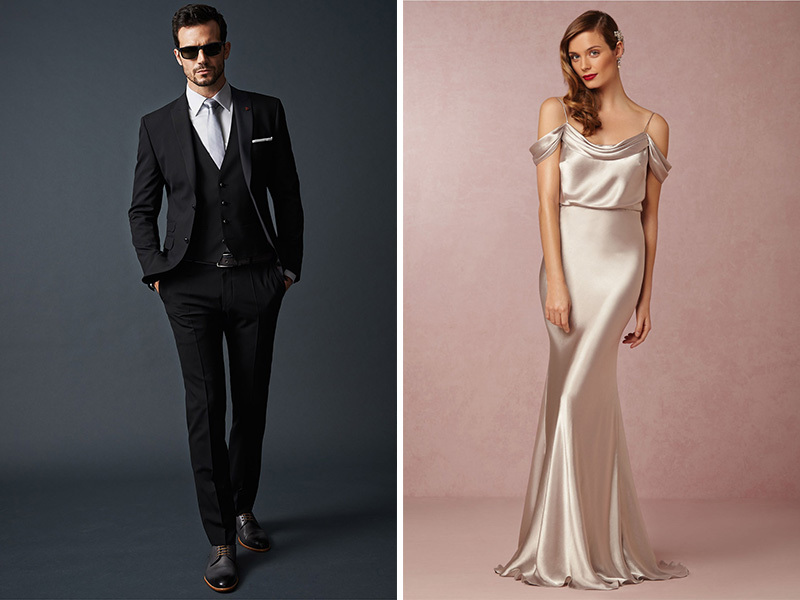 To help you out on what to wear to weddings, here’s a simple guest dress code guide. Take note of the keywords so that the next time you get invited to a wedding, you’re a pro at deciphering the code and you can fix up an outfit in no time! This code speaks for itself. Men must come in tuxedoes or black suits with a vest, crisp white shirts, and–yes, you guessed it–a black tie. Women are required to wear floor-length formal gowns and formal jewelry. The gowns may be in any color. Remember that this dress code is still very formal, but more lax in terms of the colors for men’s suits and ties. A tuxedo is not required, but guests still may wear them if they prefer. Normally a black, navy, or dark suit will do with a white crisp shirt and a conservative-colored tie. For lades, the same rules apply as those in a Black Tie dress code. A cocktail is known as a drink mix that is, more often than not, colored and flavorful. 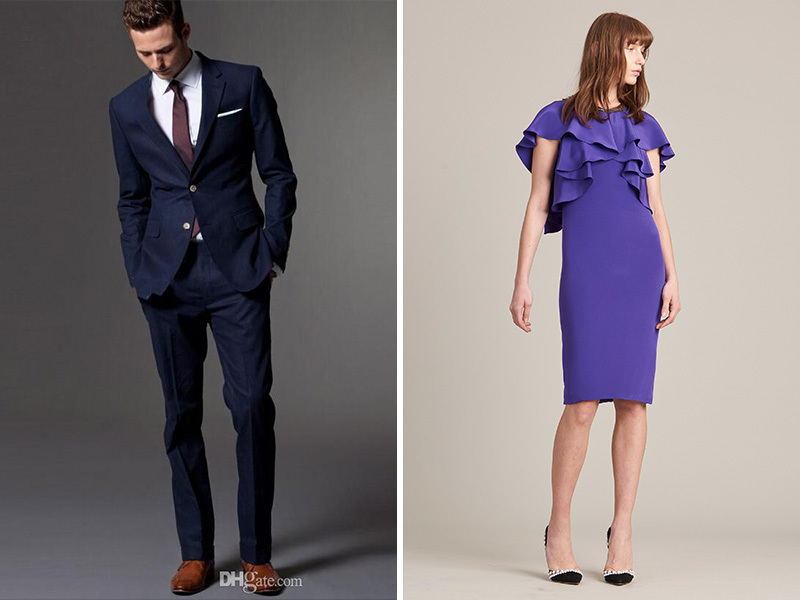 That’s the hint here–a less strict dress code with more room for color but still remains classy and elegant. Men can wear colored suits with crisp shirt inside, a jacket or coat, and a tie of a suitable color. Women may wear cocktail dresses or even long dresses with less formal silhouettes or less beading. A long skirt and dressy top will also make the cut. This time accessories can be more playful and colorful. Think of a light and airy garden party. Here you can dress more comfortably. Men can come in khaki pants or dress pants with a collared, button-down long-sleeved shirt, and blazer or coat. Ties are also not usually required. Women may come in floral, calf-length or knee-length cocktail dresses, or maxi dress with appropriate accessories. Wedges are usually also optional due to the terrain of outdoor garden venues. It’s best to wear lightweight fabric at the beach because it can get hot. Men may wear khaki or linen pants, or even cotton dress pants with a light-colored, button-down shirt. Light-colored suits may also be worn. Like the Garden dress code, ties are not required. Women may wear dressy sun dresses or a nice maxi dress with summertime accessories. Drop the stilettos and opt for dressy sandals or wedges for more ease and comfort while walking on the sand. It’s still a wedding so a certain level of decency is still required in terms of attire. In truth, this dress code is not fully casual. It’s more like a relaxed look that is still clean, and put together. 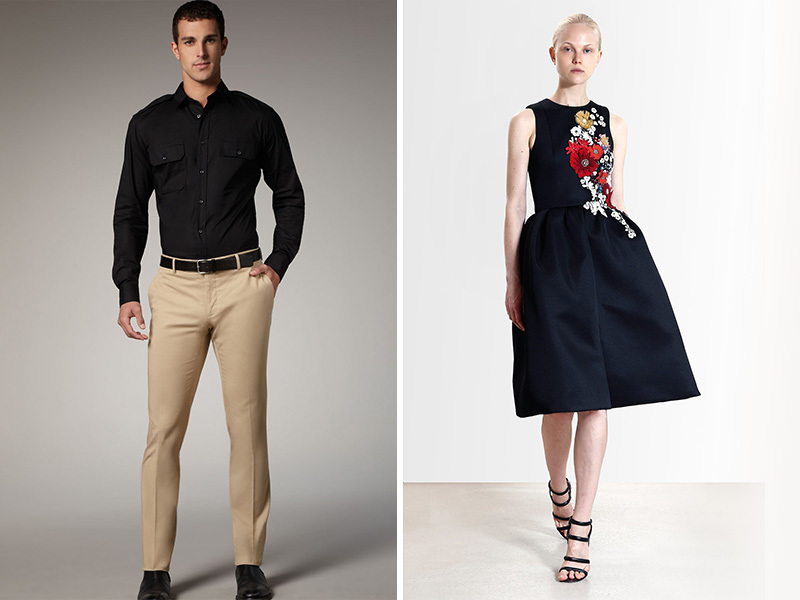 For men, feel free wear a collared, button-down shirt and clean-looking pants or khakis. You can lose the jacket but if it’s chilly, it might be best to keep it close at hand. 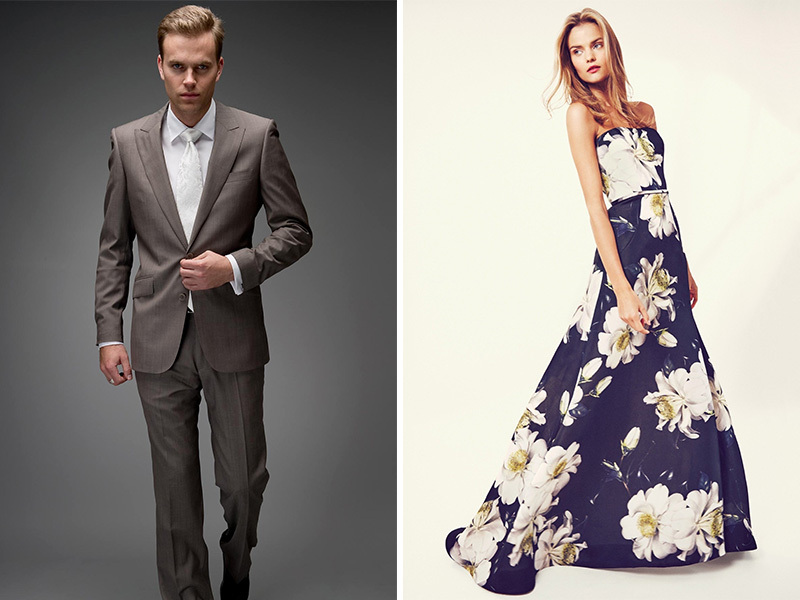 For women, a pretty date dress, or a jumpsuit will do. A knee-length or calf-length skirt, or dressy pants with a nice top is also appropriate. Add your favorite accessories, too, to complete the look. Hope this cleared your minds and made dressing up for weddings a whole lot easier. 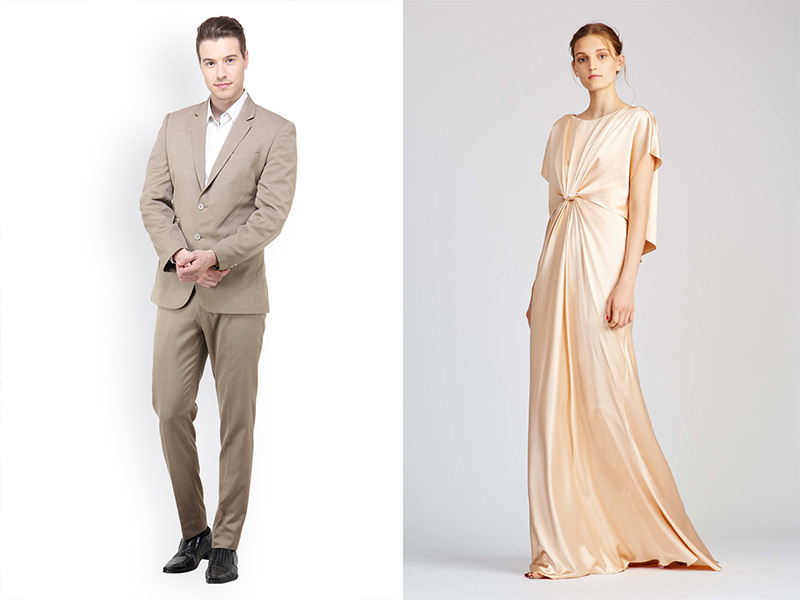 Before we leave you to figure out your wardrobe for the next wedding, here are a few final tips that apply to whatever dress code is necessary. As a general rule, stay away from really, really bright colors. Keep it classy all the time, even if you want to show off some skin. « 2017 and 2018 Wedding Trends You Shouldn’t Miss!